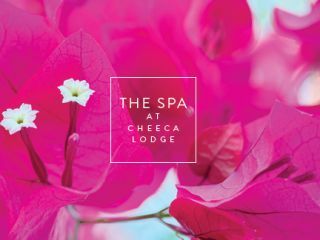 Inspired by our 27 acres of lush tropical vegetation by the sea, the Cheeca Spa has created a collection of luxurious, individual experiences to choose from. Pamper yourself with one of our exhilarating facials, challenge yourself with a personal training session, indulge in a luxurious Golden Veil body scrub and wrap, or enjoy our Signature Hot Lava Shell Massage. Sustainable Luxury: Following the lead of Cheeca Lodge, we are focused on sustainability using the purest, highest quality products available. Wherever possible we source from sustainably farmed and fair trade sources. Our products offer fragrant, rejuvenating, and detoxifying ingredients. Scheduling: To secure your desired time at the spa, we kindly request that you make your treatment reservation prior to your arrival at the resort. Appointments are subject to availability and must be guaranteed with a resort reservation or credit card. Age: Guests must be 18 years of age to receive spa treatments and utilize the spa pool, locker rooms, relaxation lounge and fitness studio or fitness classes. The spa locker rooms are only for resort guests who are receiving spa treatments. Rescheduling/Cancellation Policy: In the event of rescheduling or canceling an appointment, we ask that you notify the spa by 7pm the evening before your scheduled appointment. Please be advised that you will be charged the full price of your service if you cancel after 7pm the evening before your scheduled appointment time or fail to attend. Rescheduling your appointment within this time frame will result in a $50 rescheduling charge. Arrival Time: To begin your spa experience in a relaxed state, we ask that you arrive 20 minutes prior to your scheduled appointment time. Spa robes, slippers, private lockers and beverages are provided for your comfort. Please note that should you arrive late, your treatment will end as scheduled as a courtesy to the next guest. Quiet, Please: To maintain a peaceful atmosphere, and honor the guests enjoying the serenity of The Spa at Cheeca Lodge, we ask that you keep conversations to a whisper and silence or turn off your cell phone or other electrical devices before entering the spa. Complimentary Amenities: Included with all spa services are men’s and women’s lockers, steam rooms, and a co-ed relaxation lounge with herbal teas and fruit. Gratuities: For your convenience, a 20% service charge is added to the price of your services and distributed amongst the staff. To book a Spa Cabana or schedule an appointment at The Spa at Cheeca Lodge, please call us at 800-327-2888 or complete a request for services.